Canadian Rockies Annual has grown tremendously thanks to its striking visuals and its keen eye for what makes the Canadian Rockies culture so unique. We interviewed Editor-In-Chief, Meghan J. Ward, to learn more about Canadian Rockies Annual‘s journey throughout the years, and for insights into what may lie ahead. Canadian Rockies Annual was the winner of the 2017 Alberta Magazine Publishers Association award for Best New Magazine. How did winning the award affect the magazine and your team? Anyone at the awards (gala) would have seen how shocked we were to actually win Best New Magazine – not that we didn’t think we were capable, but we’d overcome so many challenges to create the magazine in the first place, it just didn’t seem real. Ultimately, we were elated. We were proud no matter what, but to have your industry give you that stamp of approval meant so much to us. What has changed from your first issue? Each volume has a very different flavour. It occurs mostly through an organic process, rather than setting out with themes for each issue. Volume 3 brings with it a certain level of maturity as we tackle some difficult subjects, while spicing things up with more lighthearted pieces as well. An article in Volume 2, Where to Next?, touches on the extreme becoming mainstream and the subsequent push to discover new places. How does that mirror the magazine itself? Great question! Our goal with the magazine is to open people’s eyes to the stories that like to hide under the surface, whether it’s a piece with a historic focus or something more modern and cutting edge. The Canadian Rockies are amongst the most famous places on the planet, and we like to highlight the people, places and phenomena that contribute to its robust mountain culture. How have your circulation numbers grown? With Volume 3 we have increased our numbers from 3,500 to 5,000 copies in circulation. Who are your readers? Why do they love Canadian Rockies Annual? More and more we’re seeing returning customers, whether it’s through subscriptions or retail. One of the best things about them is how widely they vary, from a 20-something just discovering what mountain life is all about to a 60-year-old professor who appreciates thorough, well-written pieces and armchair adventure. They love the uniqueness of the content – from the writing, to design and photography – and the experience of reading it. This isn’t a magazine you browse through; it’s one you enjoy with a hot cup of tea, curled up on a couch for hours. As an annual how do you determine the content and make your editorial decisions? While we don’t set out with a theme for each issue, we work hard to keep the content diverse, from the contributors writing the articles, to the geographic and topical range of the stories themselves. We filled the gap of creating a premium publication that covers the Canadian Rockies and gateway regions to the mountains, rather than one particular community. How does your online presence help with the success of the print magazine? Crowfoot Media, the magazine’s publishing house, was launched 15 months before we ever sent a file to the printer. We did this for a variety of reasons, one being that it helped us to build up a community that we could later call on when the magazine – the reason for our existence – was finally published. More than that, since we are an annual publication, our online presence gives us the opportunity to keep in touch with our community 365 days a year, and to post fresh or news-worthy content on a regular basis. The two feed into each other; we advertise our web offerings in the print magazine, and use the online feeds to promote subscriptions, print content and more. Why did you choose to create a print magazine? Because nothing digital comes remotely close to the print experience, where you can touch (and smell) the book you’re reading. Print creates a captivating experience for the reader and promotes conversation and dialogue. Plus, you can close an app or tablet, but a print magazine can sit proudly on a coffee table for months on end, encouraging other people to read it. What makes Canadian Rockies Annual unique? 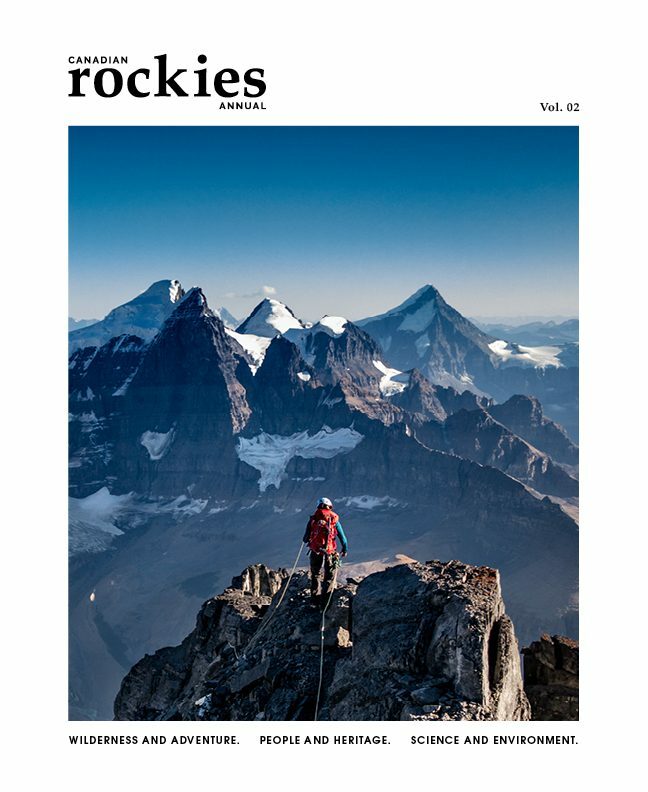 The Canadian Rockies Annual is the only high-quality, non-tourist-oriented publication that features content exclusively from the Canadian Rockies region. Our publishing efforts take a full year to execute, from pitch call to final print run. Our non-traditional approach makes for an extraordinary product. It’s like publishing a book each year. What do you see as being your greatest challenge in the next couple of years? The greatest challenge is to continue building a solid revenue model while remaining authentic to our community and loyal subscribers. What is one piece of advice you’d give publishers just starting out? You’ll be met with a fair amount of skepticism. Believe in what you’ve set out to accomplish. But, do your research and take time with the process. If you rush anything, or make decisions too blindly, you may not find the success you were hoping for. There is a certain leap of faith involved, but making sure you’ve done everything in your power to get it right will help ensure you actually land on the other side.